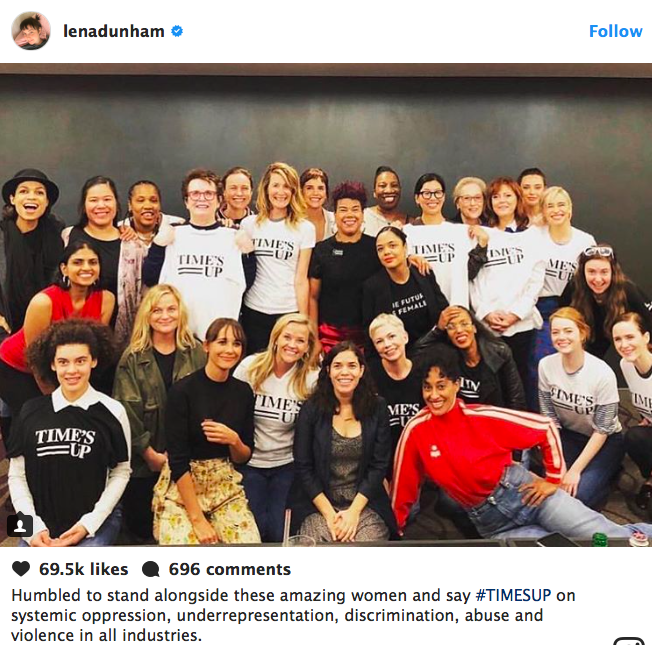 Lena (Bad News) Dunham opened the family-sized can of worms when she posted this on Instagram. That led to this rebuttal, as chronicled by Paper’s Beatrice Hazlehurst. Reese Witherspoon, Amy Poehler, Emma Stone, Michelle Williams, Brie Larson, Rashida Jones, Tracy Ellis Ross, Meryl Streep, Rosario Dawson, America Ferrera and… Lena Dunham? Despite Dunham’s claim that a sexual assault accusation against a Girls writer made by an actress-of-color was false, the actress and director posed with the most powerful women in Hollywood determined to end the sexual harassment of women in the workplace. Ah, you’ve got to love it. The photo in question sparked almost immediate backlash in the comments after it was posted by Thor: Ragnarok actress Tessa Thompson, leading Thompson to address the claims before she deleted the picture from her account altogether. Dunham has kept the image, but disabled comments. The whole deleted/disabled thing is a bit head-spinning, but one thing is clear: The hardtsking staff was on Dunham like Brown on Williamson a week ago. 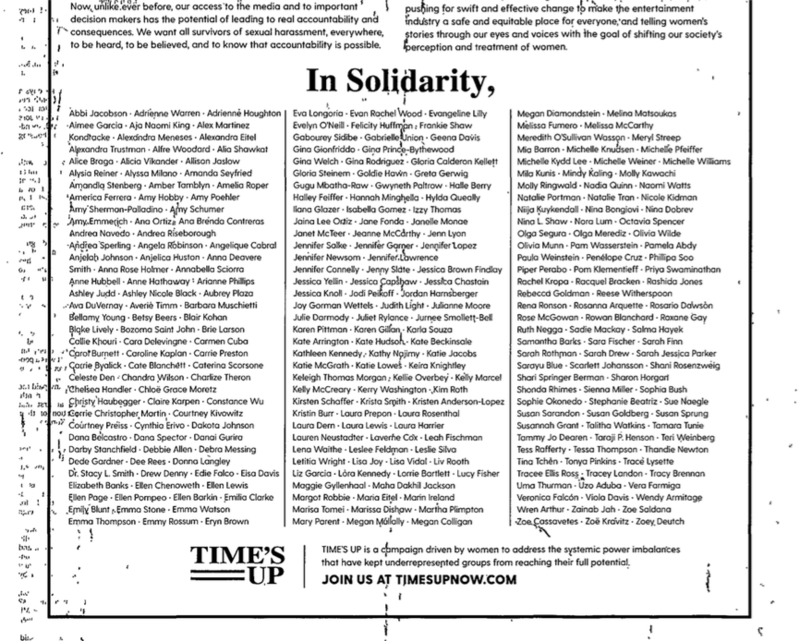 We noted that she was conspicuously absent from the full-page ad Time’s Up ran in the New York Times last week. Here’s where Dunham fell into the gap. For now, at least, her time’s up. 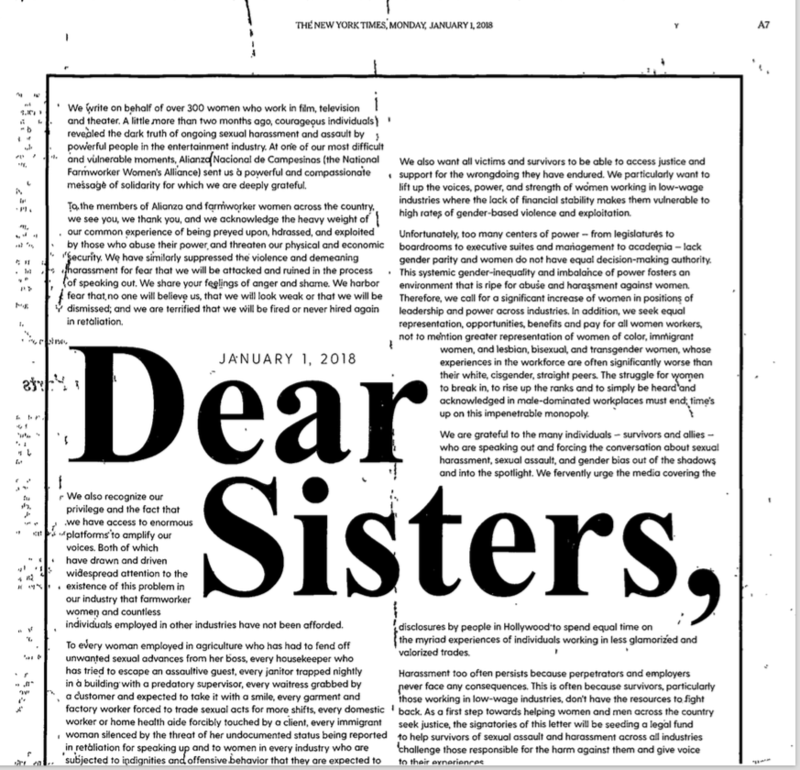 This entry was posted in Uncategorized and tagged America Ferrera, Amy Poehler, Beatrice Hazlehurst, Brie Larson, Campaign Outsider, Emma Stone, Girls, James Wolcott, Lena Dunham, like Brown on Williamson, Meryl Streep, Michelle Williams, New York, Paper, Rashida Jones, Reese Witherspoon, Rosario Dawson, Tessa Thompson, The Cut, Thor: Ragnarok, Time's Up, Tracy Ellis Ross, Vanity Fair. Bookmark the permalink.